LUCE et Studio Architects was established in 1990 in California. The studio is a collaborative laboratory-based practice, sharing a passion for materials research, new technologies, and a strong philosophy about the presence of art in architecture. Project focus has evolved to include a number of specific realms; creative workspace design for Nissan Design America, Disney Imagineering and Steelcase Premium Brand; arts and cultural projects for Museum of Contemporary Art, San Diego Museum of Art, the College for Creative Studies in Detroit and the New Children’s Museum. 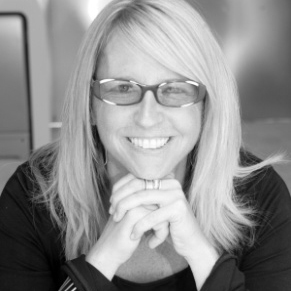 Jennifer Luce FAIA, MDesS ’94 received her Bachelor of Architecture from Carleton University, Canada in 1984 and her Master of Design Studies from Harvard University’s GSD in 1994. She is a member of the Alumni Council at Harvard and Carleton University Design Schools. She also sits on the Advisory Council for LAND; a public art initiative in Los Angeles. Ms. Luce is recipient of the A. Dunton Alumni Award of Distinction from Carleton University. LUCE projects have been featured in exhibitions; both national and international, including a retrospective at the Museum of Contemporary Art (MIX 2009) and the California Design Biennial at the Pasedena Museum of Contemporary Art (Action|Reaction 2010).The studio was named Design Vanguard by Architectural Record in 2005, received a 2006 BusinessWeek Award for Design Innovation and has received 20 awards from the AIA. Ms. Luce began her career winning an international competition to design the Center for Innovative Technology, Washington DC in 1984, 2 months after graduating from Carleton. This project became the first smart building in the US, executed as a partnership between Virgina Academic Institutions and State Government.